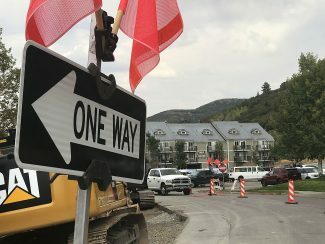 The Park City Council on Thursday appointed an attorney to a partial term on the Planning Commission, choosing someone who has indicated traffic and pedestrian ways are of importance to the community. Laura Suesser was selected over six others seeking the Planning Commission seat. The spot was available as a result of Nann Worel’s election to the City Council. She stepped down from the Planning Commission as she readied to be sworn into office as a City Councilor early in 2016. The Planning Commission term ends in July. Suesser would need to apply for a full four-year term at that point. Suesser was in the audience at a Planning Commission meeting on Wednesday. She had not been formally named as Worel’s successor by then and did not participate as a member of the panel. Her first meeting as a Planning Commissioner will likely be on March 9. Suesser’s application for the Planning Commission seat listed traffic, pedestrian and bicycling routes and topics related to leash laws as being issues of prime importance. She said in the application solutions are needed to address traffic along the entryways, saying there is a "backlog" on S.R. 248 daily and traffic problems on S.R. 224. Suesser said she wants a satellite parking lot along the S.R. 248 corridor used, wants a campaign promoting bus ridership and said she wants the lodging and resort industries involved "in helping to abate traffic." She says pedestrian and bicyclist routes cut traffic and emissions. Suesser, meanwhile, addresses dog issues even as she acknowledges those are generally not topics for the Planning Commission. 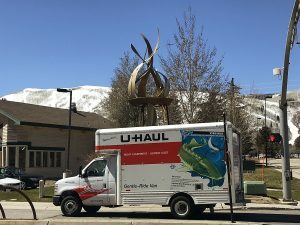 She submitted the application prior to the City Council setting aside much of Round Valley and a part of the field outside the Park City Library as off-leash areas. Suesser said "dogs are definitely of prime importance to the people of this City." She said City Hall could consider areas where dogs are allowed to be off leashes and areas where they must be leashed as well as the possibility of odd-even day restrictions in unspecified places "so that people are not completely restricted from enjoying certain areas/trails with the company of their dog." She mentioned fines should be imposed on people who violate the rules. 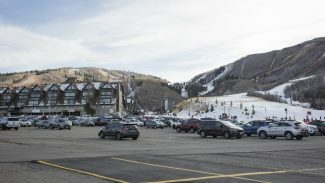 She takes the seat on the Planning Commission at a time when the panel has a key role as Park City experiences a post-recession development spurt. The Planning Commission is expected to consider a series of high-profile issues in coming months, including development in the Bonanza Park district.